Photo: India's Ministry of Railways. A 108-year-old rubber-tyred monorail system has been launched for journeys in India. 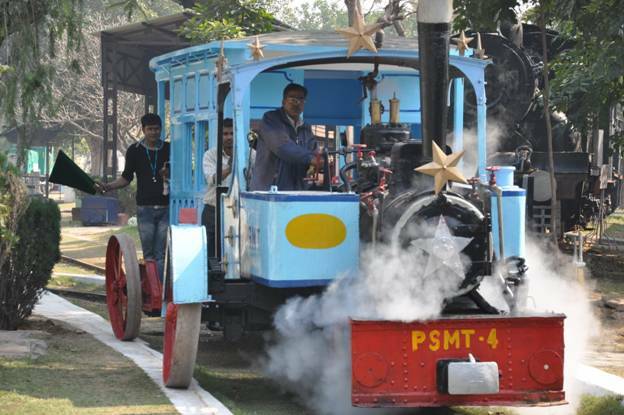 According to the country’s Ministry of Railways, the monorail, which is hauled by steam locomotives, was originally used by Bhupinder Singh, who was the ruling Maharaja of the princely state of Patiala at the start of the 20th century. The National Railway Museum (NRM), in Chanakyapuri, New Delhi, recently began to operate the monorail system for visitors. NRM explores India’s railway history and depicts the contributions it has made to the country’s economic development. It has described the system as “one of a kind” and an important heritage attraction.